One of the worst parts about being an adult is that, unless you want a weird neighborhood reputation, you can’t go trick-or-treating anymore. But one of the best parts about being an adult is that you can buy as much candy as you want and don’t have to wait for your parents to meter it out to you. Not only that, but now you can also drink while you eat it. To help us choose appropriate wines, we enlisted Alpana Singh, owner of the Boarding House in Chicago, judge on Food Network’s Food Truck Faceoff and the youngest woman to ever become a master sommelier (she was 23). 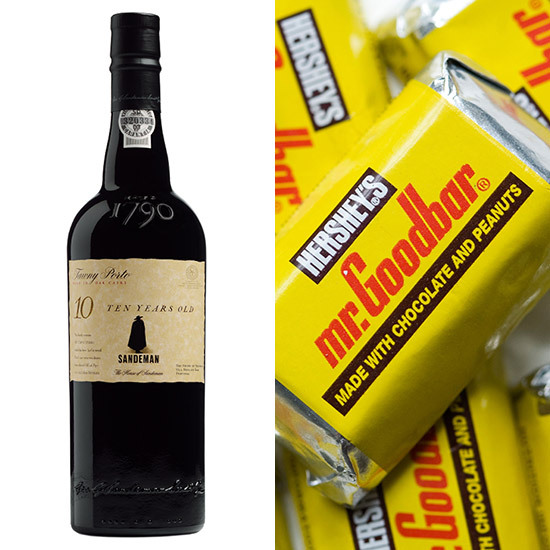 Here are her recommendations for what to pair with whatever your favorite candy might be (NO CANDY CORN). A mouth-puckering Riesling with sweet and sour notes of green apples, apricots and honey make for a seamless match with Sour Patch Kids. Be it banana, green apple, watermelon or strawberry taffy, this versatile, slightly sparkling dessert wine with flavors of apricots, honey and green apples is sure to out a smile on your face. Marsala isn't just for making chicken. Enjoy the sweet raisin flavors with notes of toffee and buttered nuts with the slight salty and nutty flavors of Butterfinger candy. Nerds are inherently sour and then sweet which perfectly describes this sparkling wine. The bubbles also act as a palate cleanser to get you ready for your next bite. Milk chocolate and roasted peanut flavors meld beautifully with the caramel, raisin, toffee and nutty notes of this delightful Port. Sweet raspberry and strawberry flavors really bring out the crunchy milk chocolate goodness. The raisin, caramel and almond flavors enhance the creamy peanut butter filling.